Austentatious in the West End! We are delighted beyond measure to announce that we are heading to London’s famous West End! 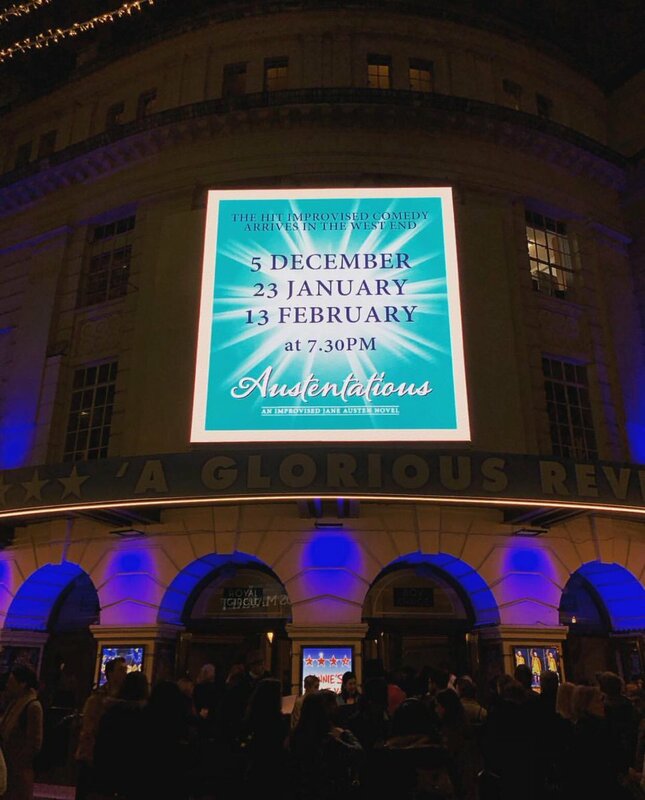 We will be gracing the Piccadilly Theatre (not five minutes from Mr Willoughby’s discredited lodgings at Bond Street) for three dates, starting this December. Be sure to wear your best bonnet & breeches – and bring your dance card! Tickets are available right here!